Sikhs : Ask Guruka of SikhNet at UK Gurdwaras, why he wears Yogi Bhajan’s fingernails as a magic talisman & wears NO Sikh Kirpan at his side! Sikhs are requested to confront Guruka with legitimate questions about the many anti-Sikh practices and violations of the Sikh Reht which Guruka and his Yogi Bhajan followers engage in daily. Please record these questions and answers with video recorders when possible and post them on Youtube for the sangat to respond too. 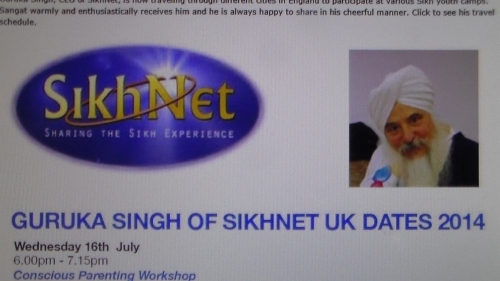 “SikhNet "collaborating with 3HO Europe to bring Kundalini Yoga Teacher Training to India"